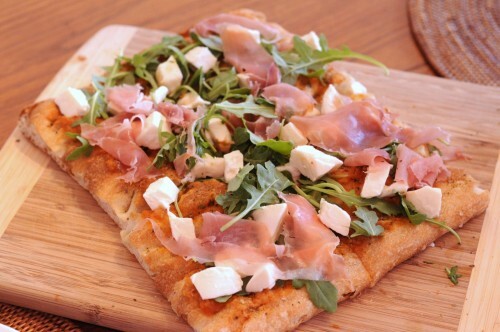 Focaccia is an Italian-style flatbread that is similar to thick crust pizza in taste in consistency, and is often found piled high in Italian specialty shops. 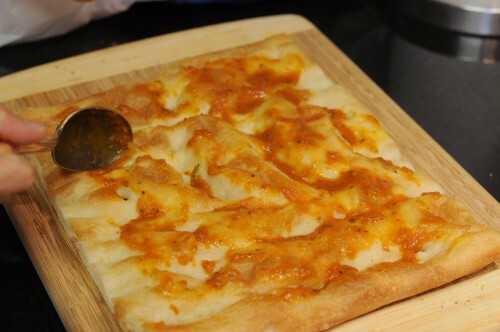 This is precisely where R found them when she decided to make pizza out of the bread. She bought some fresh mozzarella, prosciutto and dried oregano, and ran home. 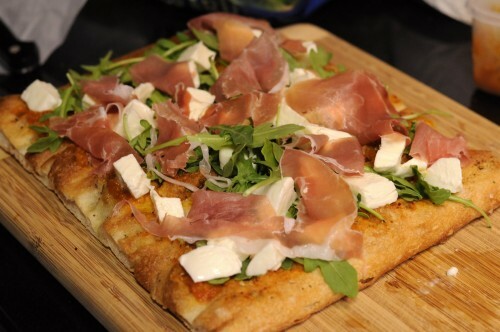 The result was a refreshing mix of fresh and nutty arugula flavors, the bite and savoriness of the prosciutto, and the creaminess of the fresh mozzarella atop a soft and tasty piece of bread with crunchy edges. 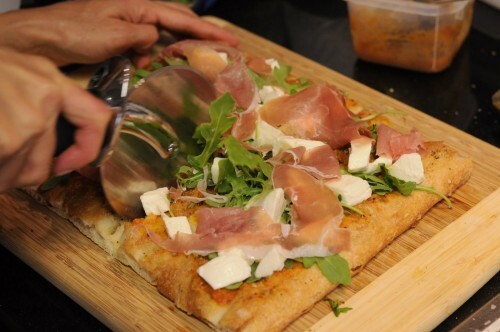 The focaccia comes in a square about a foot in width, which you may later cut into quarters. We smeared it with some leftover pasta sauce that we had and sprinkled some herbs on top, then we baked it in the oven for about five minutes. 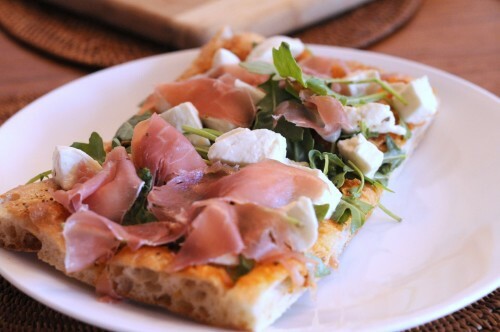 and then the cheese, and then the prosciutto on top. 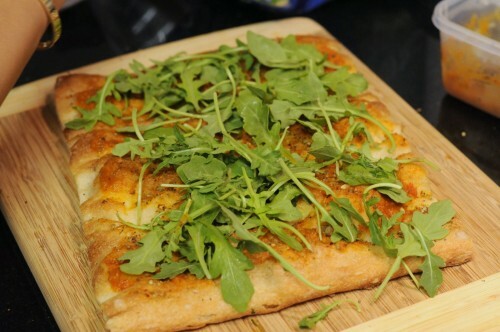 This entry was posted in meal ideas, Recipes and tagged focaccia, pizza, pizza salad, salad pizza on October 3, 2012 by admin.